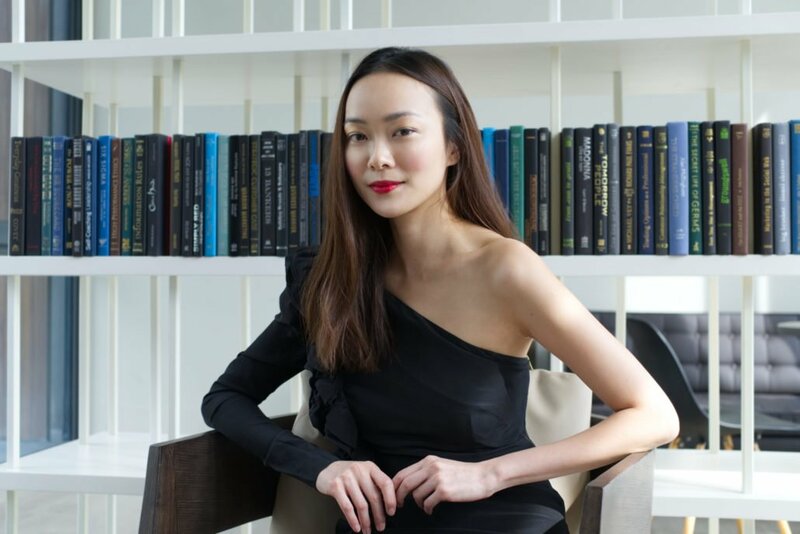 Dr. Teo Wan Lin is an accredited dermatologist and the founder and medical director of TWL Specialist Skin & Laser Centre, specialising in both medical and cosmetic dermatology. From a dermatologist perspective, she stands by her practice of using evidence-based aesthetic treatments and cosmeceuticals. She is a Fellow of the Academy of Medicine, Singapore (College of Physicians, Chapter of Dermatologists) as well as a member of the Royal College of Surgeons, UK. Besides her expertise and dedication in the realm of dermatology, she is also passionate about botany including the role of phytochemicals for skin health. An interesting fact? The power ingredient Artemisa Vulgaris (also known as Mugwort) found in the Miel Honey Cleanser™ with anti-inflammatory properties, is also found in her own garden. She loves having a home-cooked meal with fresh herbs and salads harvested from her own aeroponic vertical garden. She believes that a good diet, coupled with good skincare is how you can easily start taking charge of your own beauty. “Initially, these cosmeceutical skincare products were developed for my patients as a complement to the dermatology treatments that they receive in my clinic. However with time I’ve discovered that the products worked especially well for patients who have eczema who find regular products on the market inadequate in catering to their skin’s sensitive needs. Regular skincare products often market themselves as “suitable for all skin types” or ideal for “sensitive skin” but the overcrowding of cosmetic companies on the consumer market have created a surge of companies who over-promise or exaggerate results in order to attract potential consumers. Because of this I felt convicted to expose the public to simple, authentic cosmeceutical products that aims to achieve the safest and most effective results that a skincare range could offer. Working with my brother, Zhi Liang, is a trained pharmaceutical engineer, we turned this hope into reality. In collaboration with our chemist, Zhi Liang oversees the mass production and formulation of our products. It is important to us that we deliver effective and safe cosmeceuticals which reflects our values of – honesty and efficacy. Cosmeceutical skincare is a combination of cosmetics and pharmaceuticals. They are sold as cosmetics with pharmaceutical properties. Cosmeceutical products have benefits that help improve the skin’s appearance through its ability to impact the structure and function of the skin. Cosmeceuticals are backed by heavy research and factual evidence assured by dermatologists and are strongly encourage as opposed to regular cosmetic skincare products. Cosmeceutical skincare products contain bioactive ingredients which have been laboratory tested and formulated to ensure visible and effective results on the skin. These ingredients carry properties that combat anti-aging, ensure sun-protective, have anti-acne properties and anti-oxidant effects which are backed by dermatological research. Contrary to common belief, these ingredients do not exist in typical cosmetic formulas that most cosmetic skincare products claim to have. Can anyone use cosmeceutical products? Cosmeceutical products can be used by both men and women. The belief is that good skin care will not irritate any type of skin, even those who are treating post-laser skin or even patients with eczema. Cosmeceuticals do benefit both men and women. However, it is true that men’s skin is prone to higher percentages of oil glands (sebaceous glands) and their skin could be coarser in texture due to the lack of estrogen. This explains why men seem to have oilier skin and suffer oily skin conditions that are prone to acne, oil gland overgrowth and large pores. The trick to combat such skin problems is to seek medical treatment quickly once noticed as acne cannot be treated from skincare alone but could be eradicated if detected early. Cosmeceuticals are for everyone. Even though they are recommended by dermatologists as a complementary and sustainable treatment for those who are undergoing dermatology treatment, they can be used by those who do not need medical attention for their skin. Cosmeceuticals are ideal for all-around well being, maintenance and the appearance of the skin. How do I ensure that the product is appropriate for my skin? Unfortunately, cosmeceuticals are not regulated by Food and Drug Administration (FDA) or Health Sciences Authority (HSA) this means that products are not accountable for the claims on their packaging and is therefore difficult for the consumer to know if a product is reliable. Often, the product may contain ingredients that have the potential to cause harmful effects (i.e. phototoxic conditions) when exposed to sunlight or irritant contact dermatitis. Discernment is important when it comes to the products you choose to use on your skin. A good tip is to do adequate research such as using websites that could give you scientifically accurate information that is understood even to the layman. A good example is www.pubmed.com where you can easily key in the active ingredient of choice to research the benefits and or side effects. If research is too much work for you, a safe bet would be to follow dermatologist recommended products. Look out for labels like “dermatologist formulated/recommended” or consult a dermatologist before you purchase any products. their clients by recommending products based on little to no relevant knowledge of hormonal or biologically related conditions. Because of that, some patients develop skin allergies for using products which are wrongly recommended to them. As such, it is important for dermatologists to exemplify the truth of honest dermatologist-formulated and tested cosmeceutical skincare to the consumer market. Everyone’s skin sensitivity is different and there is no such thing as a universal product suitable for all types of skin. I have seen patients with skin conditions like eczema or acne who attempted to self-medicate with different creams in hopes of a cure. Instead, their skin condition tends to deteriorate until they decide to finally consult a dermatologist. Though dermatological formulated products are useful in maintaining good skin but they are not always appropriate or sufficient in treating skin conditions. It is important to consult a dermatologist if you are unsure about your own skin conditions, its sensitivity/allergy. Skin problems should not be undermined as it leads to wider issues such as lowering of one’s self-esteem. What is so special about the Dr.TWL Dermaceuticals brand? When we developed our brand, the main goals were efficacy and safety. Our products have been backed by dermatological research. Our star ingredient the Larecea™ Extract is unique to our line it was an ingredient developed in the laboratory by our chemist. The Larecea™ Extract is the combination of a botanical extract from Brassica oleracea (cruciferous family of plants) and a unique formula of amino acids. The Larecea™ Extract has been proven to repair and have anti-aging effects on the skin, it also increases collagen production, provides UV-protection against the sun and acts as a powerful antioxidant. Molecules are extracted from natural botanicals as the purest extracts. With a 3-in-1 function (regeneration, anti-oxidant, and UV-protective), it is our signature green ingredient. Another unique ingredient is the oligopeptide molecule which is a new and rising favourite of dermatologists. It is promised to have anti-aging properties. Because of that, we have used it to replace retinol, commonly used in cosmetics as an effective ingredient but has the tendency to cause skin irritation. The oligopeptide molecule is extracted using sophisticated biotechnology that is ethically extracted without breaching animal or human rights as we strive to produce honest and humane products, they are vegan and animal-cruelty free. Other available cosmetic products in the market are formulated by aesthetic doctors who are not accredited skin specialists or actual dermatologists. Many dermatologists develop their own line in hopes of being consistent and accountable to the knowledge they possess in order to curate a good line of cosmeceuticals which are not available on the mass commercial market. Dermatologists, with their vast knowledge of skincare, are the most prized candidates for patients to entrust your skin’s health too. As such, Dr.TWL Dermaceuticals is working towards providing reliable skincare brands that are available on the commercial basis that has been both dermatologist-formulated and tested.